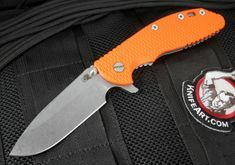 The XM-24 from Rick Hinderer is a larger version of the popular XM-18 folding knives. 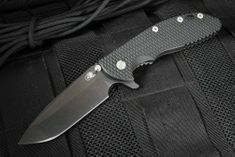 The XM 24 has a 4" blade length and an overall length of 9.125". Closed, the XM-24 measures 5.625". 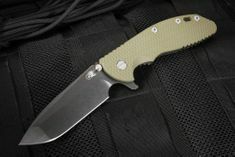 The XM-24 shares all of the same features of the XM-18 folding knives including a variety of blade shapes. 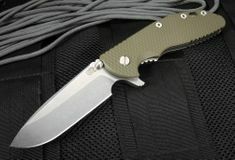 It comes in Bowie, Skinner, Spanto, Spearpoint blade shapes. The Rick Hinderer XM-24 line of tactical folding knives are perfect for individuals with larger hands or have cutting demands that require a larger, stronger knife. 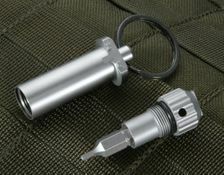 The standard XM-24 features a flipper and full ambidextrous thumb lug opening systems, and stainless steel standoffs. 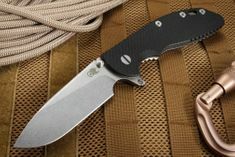 If you are looking for a serious cutting tool, the XM-24 tactical folding knife from Rick Hinderer Knives will meet and exceed your demands.